Mostly known for its painful war history, Berlin is now a modern, cosmopolitan city. 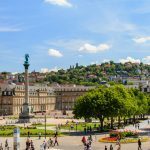 With 3.6 million inhabitants, this German capital is also the largest city in Germany and second largest in the EU. However, thanks to organized public transport and a lot of parks, gardens and lakes, the city doesn’t seem so crowded at all. 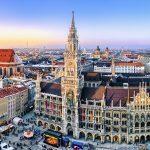 Berlin has become a cultural hub, offering an interesting art scene, open-air concerts, festivals and vibrant nightlife. If you are planning your visit to Berlin, take a look at our 4-day proposal for the best city break experience! Start your visit at the Black Box Kalter Krieg Zentrum (Cold War Center). 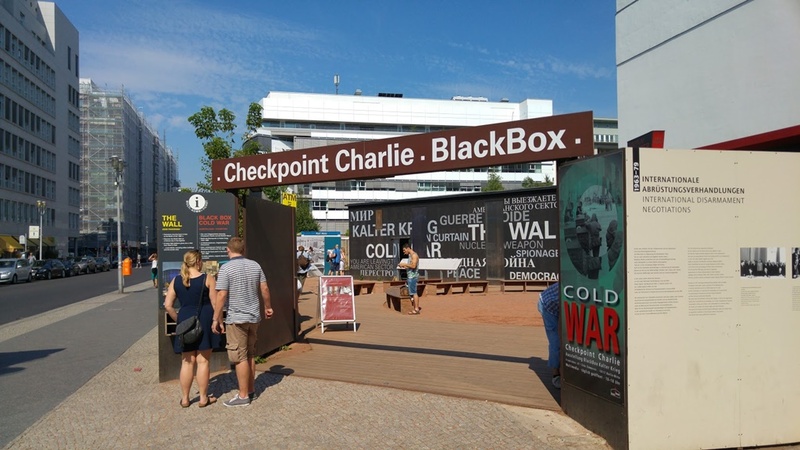 Here you will find a huge black box with large-format photos and descriptions about the cold war era after the Second World War, and different media installations about life on both sides of the wall. 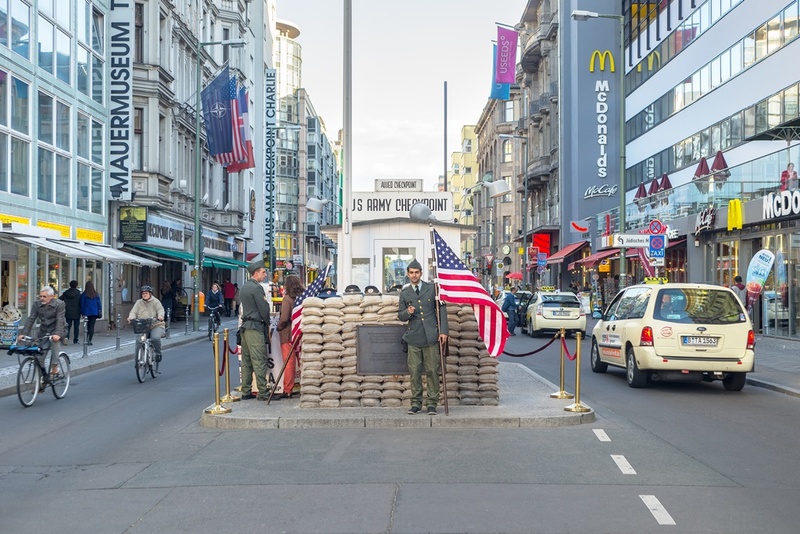 Right next to the Center, you will see the most famous border crossing point, Checkpoint Charlie. Former U.S. jurisdiction has now become a major tourist attraction, and so you can take a photo with the guys dressed as U.S. soldiers. 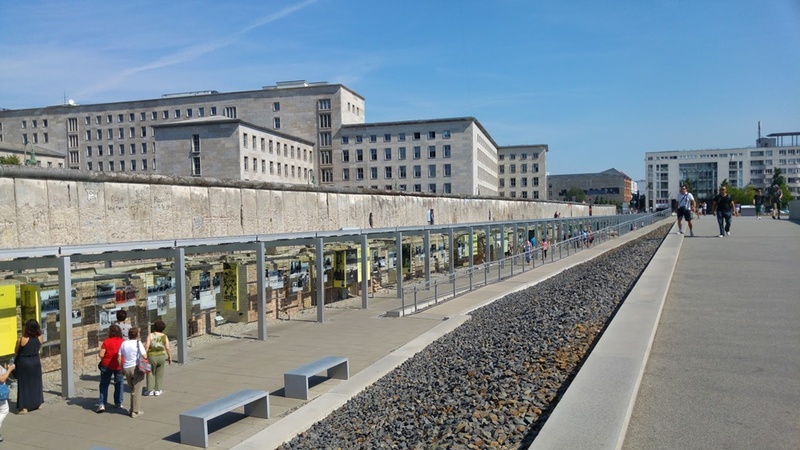 Continue along Zimmerstrasse to reach the Gestapo Museum and the Topography of Terror. Here you can also see some remains of the Berlin Wall. Unlike the Cold War Center, where the exhibits described the life after the war, this museum describes the life during the Second World War, including the Nazi torture and killings. Just around the corner from the Gestapo Museum, and close to the Potsdamer Platz, you will find the GDR Watchtower. It was used as a control tower to watch over the wall, and as such remains the oldest historical relic of the Berlin Wall. It is entirely made from concrete, and you can climb up and see how it was like during the cold war. At Potsdamer Platz you can find a number of restaurants where you can have lunch, and VaPiano is always a good option. Across the street from VaPiano, you will see the Kollhoff Tower. At the top floor (25th floor) there is a viewpoint and a sky bar called Panoramacafé, where you can have a drink and enjoy the view. Right across the square from the Kollhoff Tower, at Leipziger Platz 12, is the shopping mall LP12 Mall of Berlin. There you can find stores like Zara, Mango, Mexx, Gant, Lacoste, Tommy Hilfiger, Esprit, H&M, C&A, Desigual, Zara Home, Douglas, Rituals, etc. Round up the day with some shopping! 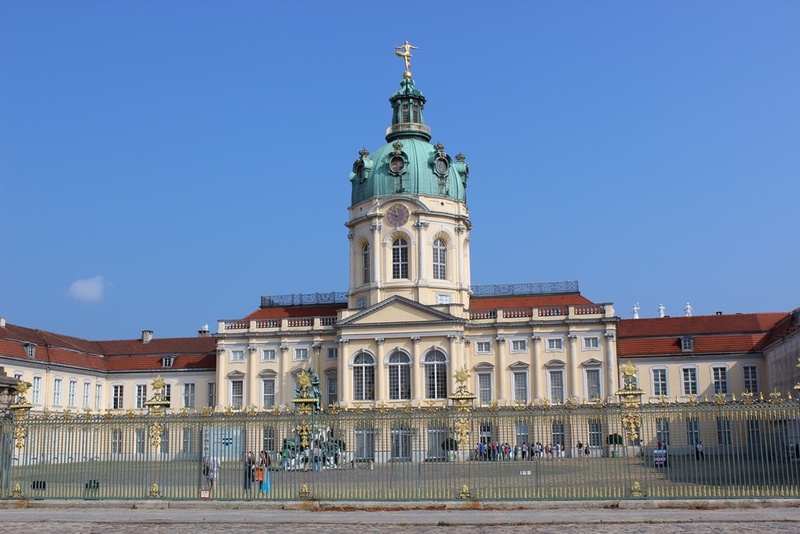 Outside the city center, in the area called Charlottenburg, you will find the largest palace in Berlin – Charlottenburg Palace, with Orangerie, New Pavilion, Mausoleum and Belvedere, all surrounded by vast palace gardens. Inside the palace, once the residence of Prussian kings, you will notice baroque and rococo style furniture, as well as a room dedicated entirely to Chinese porcelain. Getting off the boat at Jannowitzbrücke is the perfect place to check out the historic old town, Nikolaiviertel (Nicholas Quarter), with Berlin’s oldest church, Nikolaikirche (St.Nicholas Church) and a small square facing the Museum Island and the cathedral (Berliner Dom). At the square you will see the statue of St.George killing the dragon, dedicated to the famous legend. 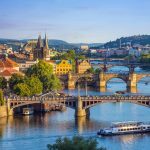 Take a walk around the old town, check out the small shops and art studios. You will probably notice little bear statues here and in the rest of the city. Bear is the symbol and mascot of Berlin, and already in the 13th century it had found its place on the Berlin coat of arms. Check out the restaurant Spreeblick at the old town square (near the Spree river) or some other restaurant in the area for your late lunch. Take a short walk from Nikolaiviertel to Alexanderplatz, with the famous Berlin TV Tower. Here you can also find a number of fast food restaurants like KFC, Burger King, McDonald’s, Subway, kebab and pizza places, but also coffee and sweets shops, like Dunkin’ Donuts and Starbucks. If you want to do some more shopping, Decathlon Berlin, Lush, Claire’s and Shoe City are located right at the Alexanderplatz square. The TV tower, Berliner Fernsehturm, also offers some great views of the city. The observation deck and cocktail bar are located at 203 meters above the ground, and are open until midnight. This means you can have a drink at the highest bar in Berlin, and enjoy the breathtaking view. If you want to experience sky-high dining, you can try the revolving Sphere restaurant, located 4 meters above the observation deck. At 207 meters above ground you can try local or international cuisine, while enjoying the unique 360° view of entire Berlin. Unter den Linden is one of the most famous streets in Berlin. It goes all the way from Museum Island with the cathedral to Brandenburg Gate. You can take the public transport or you can walk it. 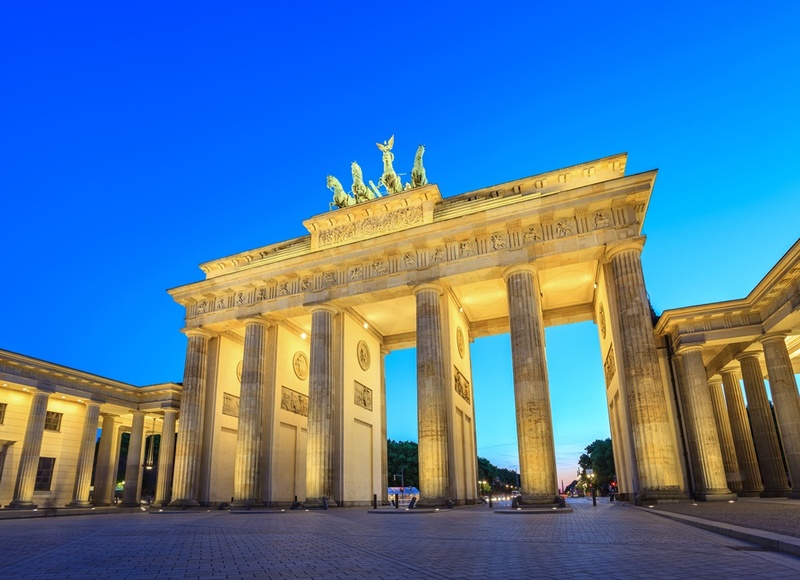 When you reach Brandenburg Gate, take some time to admire this 18th century monument that has been the landmark of entire country for more than 200 years. 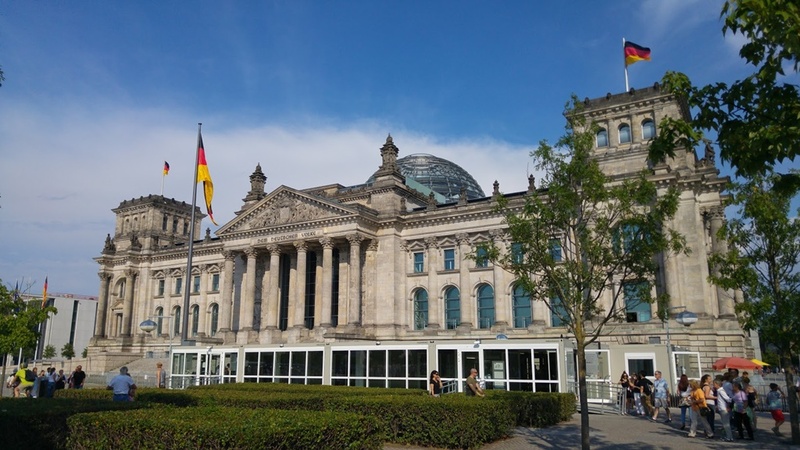 The famous Reichstag building, once used by the Nazi government, has been restored and in 1999 became once again the meeting place of the German Parliament (Bundestag). The building is located just around the corner from Brandenburg Gate (6 minutes walking distance). A short walk from Brandenburg Gate (7 minutes down the Ebertstrasse), you will find the Memorial to the Murdered Jews of Europe, also known as the Holocaust Memorial. It consists of 2,711 concrete blocks (stelae) that represent the Holocaust victims. Walking up the Ebertstrasse towards Brandenburg Gate, you will see the entrance to the most popular and one of the largest parks in Germany, the Tiergarten park. A large green oasis in the middle of the city center is perfect for relaxing, jogging, having a picnic or sunbathing in the summer. There are also some simpler restaurants, e.g. Café am Neuen See, where you can try the traditional German wurst (sausage) with potatoes and sauerkraut, and a pint of beer is a must! At the end of the park, you can find the Berlin ZOO. It is the oldest and most popular ZOO in Germany, as well as the most visited one in whole Europe. Right across the street from the ZOO entrance (Elephant door), you will see the protestant Kaiser Wilhelm Memorial Church, a famous landmark of western Berlin. Once the imperial church, it was severely damaged during the Second World War (in 1943) and is kept as a reminder of the war, with the ground floor turned into a memorial hall. Round up the day with an evening drink at Zeitlos Cocktail bar along the Spree river. 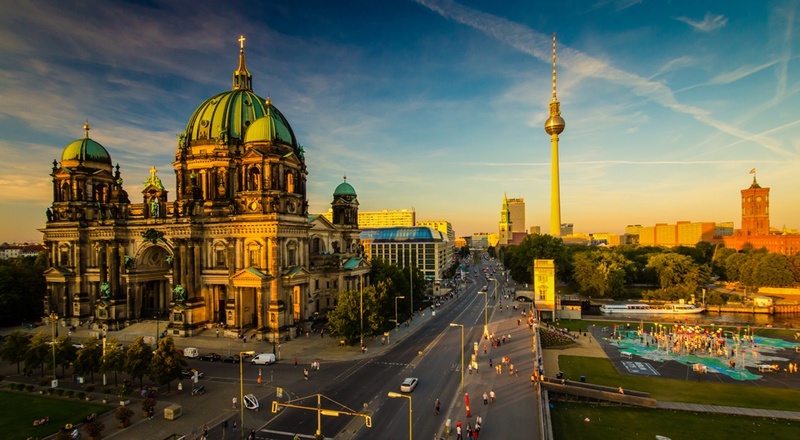 Berlin is famous for its Museum Island, located on the Spree river, in the city center area called Mitte. 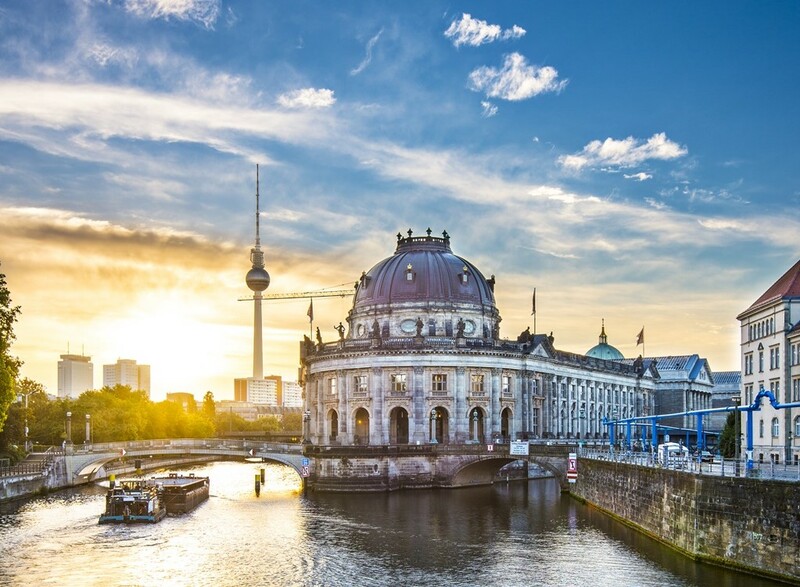 Five internationally significant museums are situated within this complex: Bode Museum, Altes Museum, Neues Museum, Pergamon Museum and Alte Nationalgalerie. You can spend an entire day here and not visit all of them. Neues Museum includes a large Egyptian collection, with the famous Nefertiti bust. Pergamon Museum contains historically significant buildings like the Pergamon Altar and the Ishtar Gate of Babylon. If you have just one day, these two would be the best solution. At the Museum Island, opposite the Altes Museum, is the cathedral – Berliner Dom. It is the Evangelical parish church that has never been cathedral in the actual sense (it has never been the seat of a bishop), but it kept the name from the 15th century, when the German word “Domkirche” was used for such collegiate churches. Across the Schlossplatz bridge, you will reach again the famous Unter den Linden street and at its very beginning you will see the renowned Humboldt University. Choose one of the several restaurants in the area for your late lunch. To round up your Berlin experience, take an evening walk and have a drink at Gendarmenmarkt. 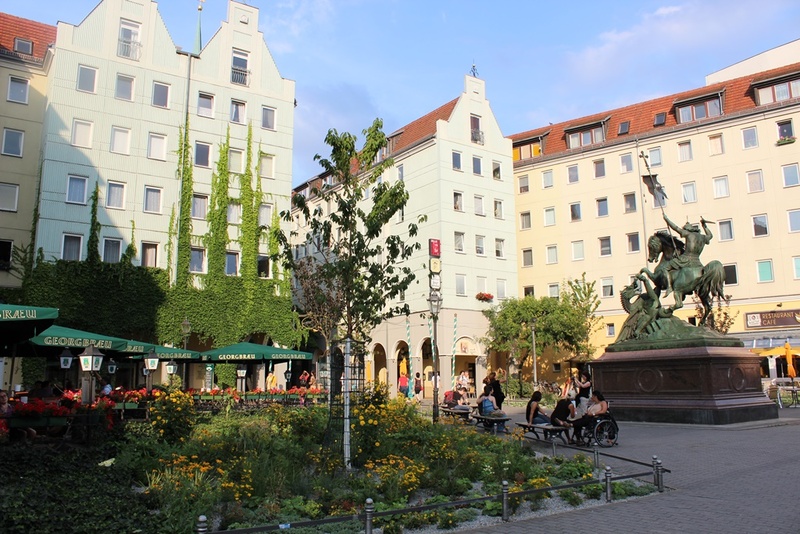 This charming square is actually the most beautiful in Berlin, and includes a concert hall and two small cathedrals, German and French, that have the same exterior and are placed to face each other across the square. They are both transformed into museums. 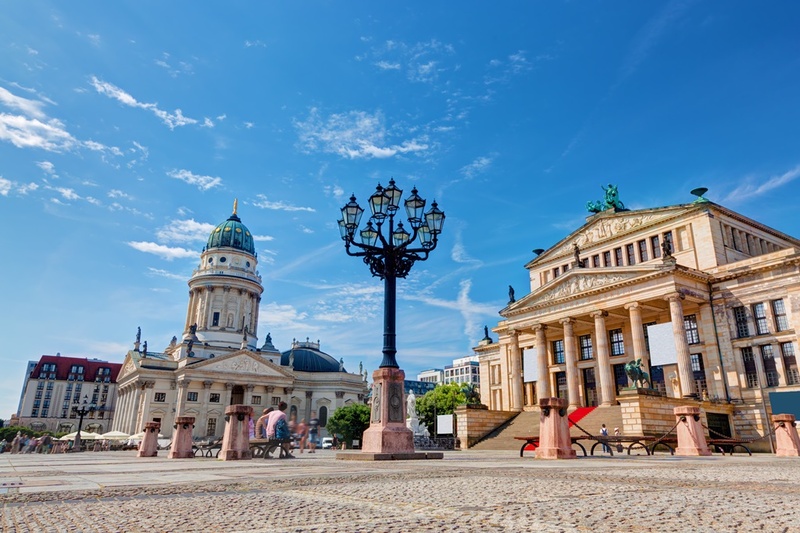 Gendarmenmarkt is also known as the location of one of the most popular Christmas markets in Berlin. Sit back, relax, and enjoy your last evening in Berlin at this stunning square. If you will be using public transport at any point, check our post about Berlin public transport to get all the info. 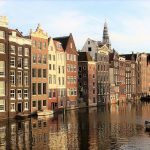 To find the best travel options from your city, visit getbybus.com or check some of the most popular routes, e.g. London to Berlin, Paris to Berlin, Prague to Berlin, Amsterdam to Berlin, Warsaw to Berlin, Brussels to Berlin, Dusseldorf to Berlin.